For millennia, humans held a beautiful belief. Our planet, Earth, was at the center of a vast universe, and all of the planets and stars and celestial bodies revolved around us. This geocentric model, though it had floated around since 6th century BCE, was written in its most elegant form by Claudius Ptolemy in 140 AD. When this model encountered problems, such as the retrograde motions of planets, scientists reworked the data to fit the model by coming up with phenomena such as epicycles, mini orbits. It wasn’t until 1543, 1400 years later, that Nicolaus Copernicus set in motion a paradigm shift that would give way to centuries of new discoveries. According to Copernicus’ radical theory, Earth was not the center of the universe but simply one of a long line of planets orbiting around the sun. But even as evidence that we lived in a heliocentric system piled up and scientists such as Galileo Galilei perfected the model, society held onto the belief that the entire universe orbited around Earth until the early 19th century. 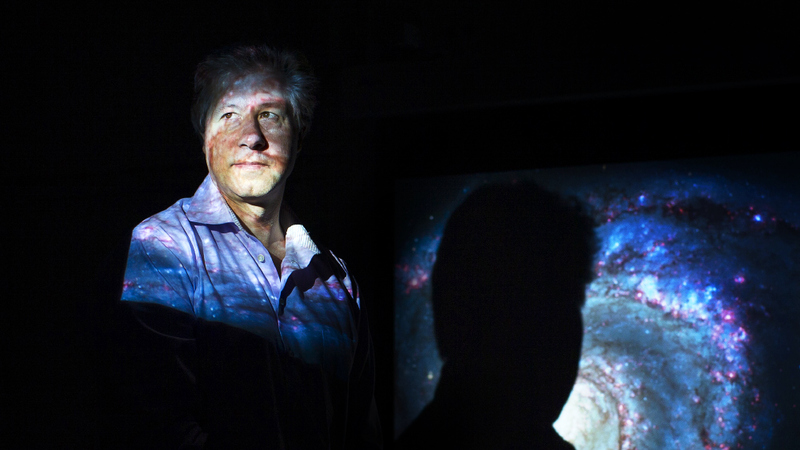 To Erik Verlinde, a theoretical physicist at the University of Amsterdam, the idea of dark matter is the geocentric model of the 21st century. Dark matter, an as-yet-undetected form of matter that scientists believe makes up more than a quarter of the mass and energy of the universe, was first theorized when scientists noticed that stars at the outer edges of galaxies and galaxy clusters were moving much faster than Newton’s theory of gravity said they should. Up until this point, scientists have assumed that the best explanation for this is that there must be missing mass in the universe holding those fast-moving stars in place in the form of dark matter. But Verlinde has come up with a set of equations that explains these galactic rotation curves by viewing gravity as an emergent force — a result of the quantum structure of space. The idea is related to dark energy, which scientists think is the cause for the accelerating expansion of our universe. Verlinde thinks that what we see as dark matter is actually just interactions between galaxies and the sea of dark energy in which they’re embedded. Verlinde is not the first theorist to come up with an alternative to dark matter. Many feel that his theory echoes the sentiment of physicist Mordehai Milgrom’s equations of “modified Newtonian dynamics,” or MOND. Just as Einstein modified Newton’s laws of gravity to fit to the scale of planets and solar systems, MOND modifies Einstein’s laws of gravity to fit to the scale of galaxies and galaxy clusters. Verlinde, however, makes the distinction that he’s not deriving the equations of MOND, rather he’s deriving what he calls a “scaling relation,” or a volume effect of space-time that only becomes important at large distances. Stacy McGaugh, an astrophysicist at Case Western Reserve University, says that while MOND is primarily the notion that the effective force of gravity changes with acceleration, Verlinde’s ideas are more of a ground-up theoretical work. Verlinde’s ideas have been greeted with a fair amount of skepticism in the scientific community, in part because, according to Kathryn Zurek, a theoretical physicist at the US Department of Energy’s Lawrence Berkeley National Laboratory, his theory leaves a lot unexplained. Zurek says that in order for scientists to start lending weight to his claims, Verlinde needs to build the case around his theory and show that it accommodates a wider range of observations. But, she says, this doesn’t mean that his ideas should be written off. McGaugh had a similar crisis of faith in dark matter when he was working on an experiment wherein MOND’s predictions were the only ones that came true in his data. He had been making observations of low-surface-brightness galaxies, wherein stars are spread more thinly than galaxies such as the Milky Way where the stars are crowded relatively close together. 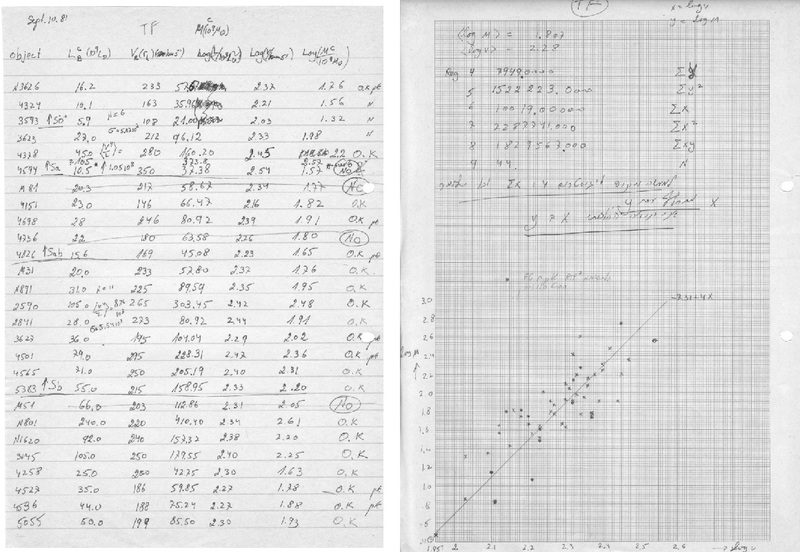 McGaugh says his results did not make sense to him in the standard dark matter context, and it turned out that the properties that were confusing to him had already been predicted by Milgrom’s MOND equations in 1983, before people had even begun to take seriously the idea of low-surface-brightness galaxies. Although McGaugh’s experience caused him to question the existence of dark matter and instead argue for MOND, others have not been so quick to join the cause. McGaugh says that many of his colleagues believe that there’s so much evidence for dark matter that it’s a waste of time to consider any alternatives. But he believes that all of the evidence for dark matter might instead be an indication that there is something wrong with our theories of gravity. “I kind of worry that we are headed into another thousand years of dark epicycles,” McGaugh says. But according to Zurek, if MOND came up with anywhere near the evidence that has been amassed for the dark matter paradigm, people would be flocking to it. The problem, she says, is that at the moment MOND just does not come anywhere near to passing the number of tests that cold dark matter has. She adds that there are some physicists who argue that the cold dark matter paradigm can, in fact, explain those observations about low-surface-brightness galaxies. Recently, Case Western held a workshop wherein they gathered together representatives from different communities, including those working on dark matter models, to discuss dwarf galaxies and the external field effect, which is the notion that very low-density objects will be affected by what’s around them. MOND predicts that the dynamics of a small satellite galaxy will depend on its proximity to its giant host in a way that doesn’t happen with dark matter. McGaugh says that in attendance at the workshop were a group of more philosophically inclined people who use a set of rules to judge theories, which they’ve put together by looking back at how theories have developed in the past. Verlinde’s ideas, however, didn’t come up much within the workshop. While McGaugh says that the two theories are closely enough related that he would hope the same people pursuing MOND would be interested in Verlinde’s theory, he added that not everyone shares that attitude. Many are waiting for more theoretical development and further observational tests. 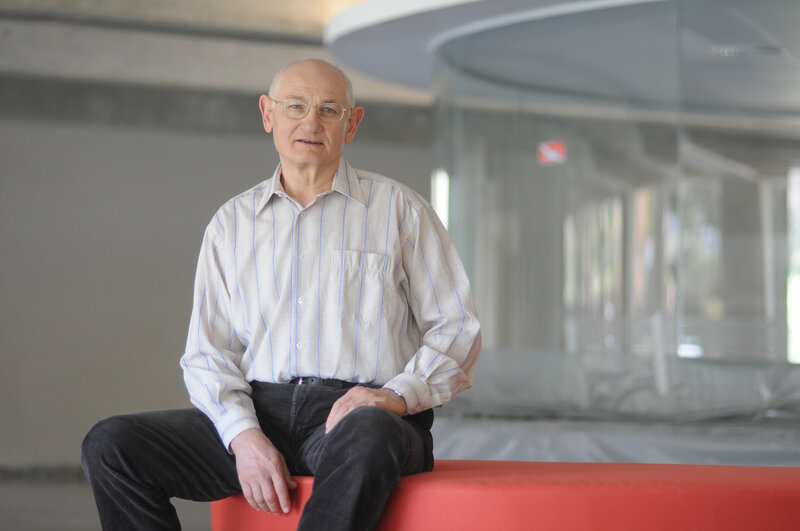 Verlinde says he realizes that he still needs to develop his ideas further and extend them to explain things such as the formation of galaxies and galaxy clusters. Although he has mostly been working on this theory on his own, he recognizes the importance of building a community around his ideas. Over the past few months, he has been giving presentations at different universities, including Princeton, Harvard, Berkeley, Stanford, and Caltech. There is currently a large community of people working on ideas of quantum information and gravity, he says, and his main goal is to get more people, in particular string theorists, to start thinking about his ideas to help him improve them.